Hot chocolate and soup are my two favorite cold weather comfort treats. When I see temperatures dropping, I make sure I have ingredients on hand for both hot chocolate from scratch and from a mix, and wait for the perfect chilly evenings to snuggle up on the couch sipping cocoa from a mug. Marshmallows optional. As we discovered last year though, I can get a little over-zealous in the purchase of hot chocolate mix, meaning it finds its way into baked goods. 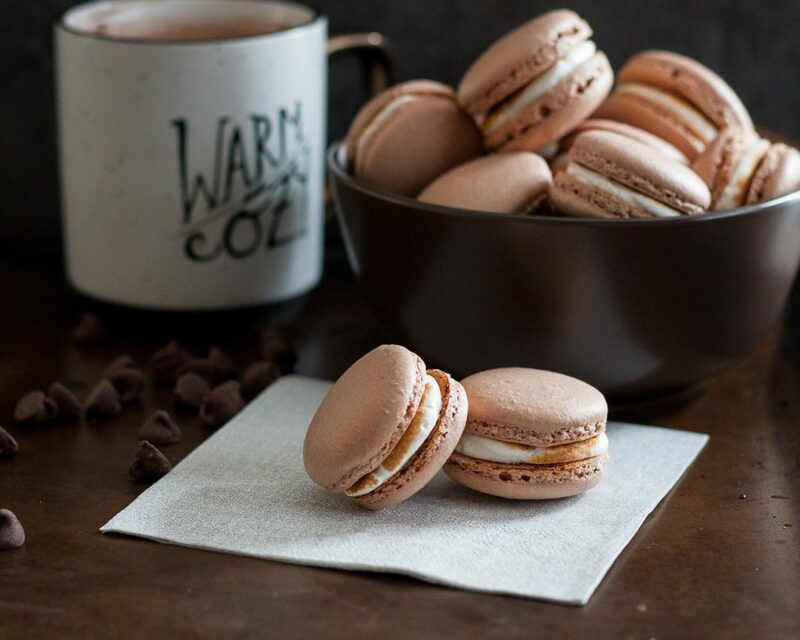 My caramel hot chocolate brownies were such a hit last year, I decided to experiment a bit this year and make hot chocolate macarons! 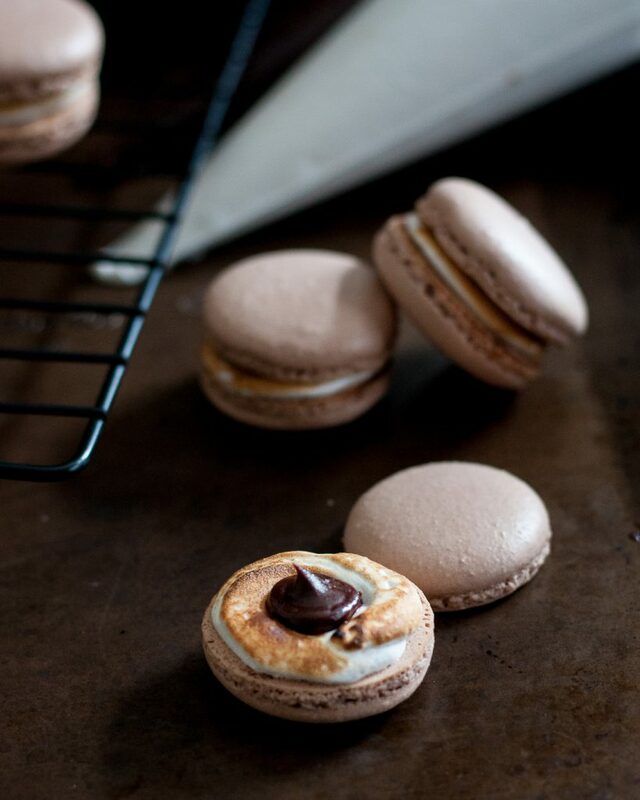 Besides, each holiday season needs a new macaron recipe. 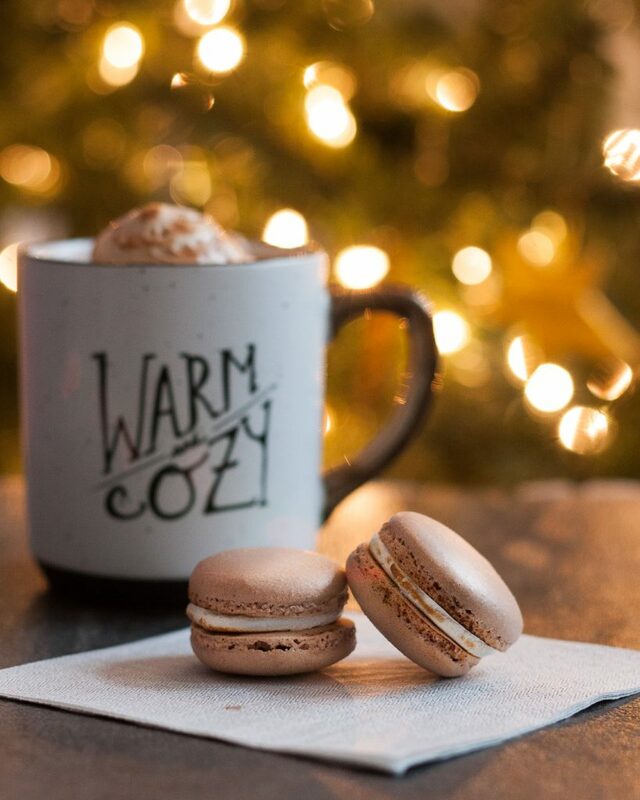 Last year we had eggnog macarons, next year, we’ll see. I have a few ideas already, naturally. I adore making themed macarons. 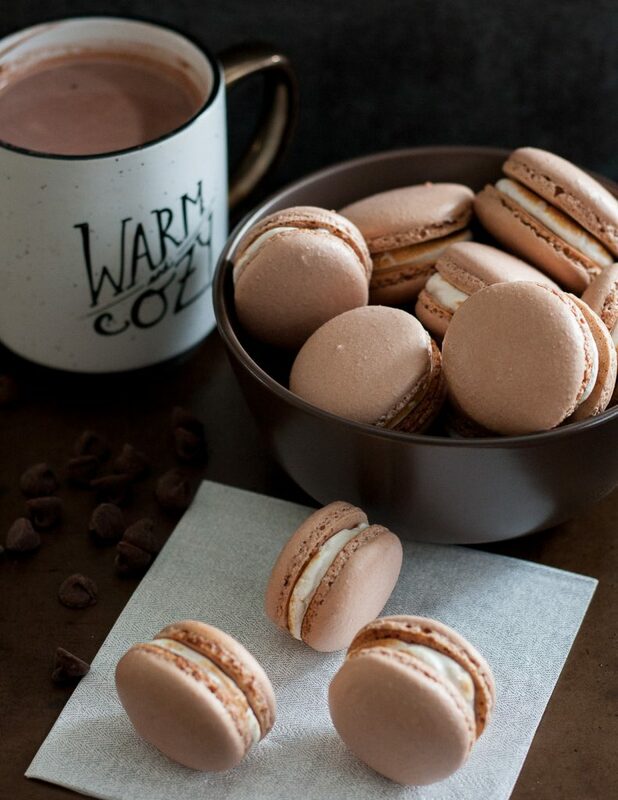 Hot chocolate macarons incorporate a bit of hot chocolate mix, your favorite kind of chocolate in a creamy ganache center, and a tiny bit of toasted marshmallow. The recipe includes ratios for dark and milk chocolate ganache. Toasting the marshmallow is optional since not all hot chocolate is topped with a toasted marshmallow, but if you want an excuse to use your kitchen torch, go for it. When used safely, kitchen torches are loads of fun. Because I add hot chocolate mix to the shell batter, I follow the Italian method for making the shells. You can read the details in my how to make macarons post. I find that it’s more stable than the French method since hot chocolate mix has different levels of sugar depending on the brand. If you’re new to making macarons, just weigh everything and remember that they’ll taste good even if they aren’t perfect. I had to close with a little holiday specific picture because my tree is up, and I couldn’t resist playing with the light bokeh and that mug. Isn’t it pretty? Enjoy, darlings! If you have any questions about making macarons, please don’t hesitate to comment below or send me an e-mail or message via social media. Make the ganache by combining the chocolate and heavy cream, by weight in a microwave safe bowl. Melt together one minute at 70% power and stir. Add additional 30 second intervals as needed until you ganache is smooth and shiny. Set aside. Sift together the almond flour, hot chocolate mix, and confectioner's sugar into a mixing bowl. Top with 55 g egg whites. Do not mix. Set aside. In the bowl of your stand mixer fitted with your whisk attachment, place the other 55g egg whites. In a small saucepan fitted with a candy thermometer, combine the granulated sugar and water over medium heat, stirring constantly until the sugar dissolves. Bring the mixture up to soft ball stage (235 F/112 C) over medium high heat. When it is about 5 degrees away from the soft ball stage, start whisking your egg whites on medium speed until frothy. 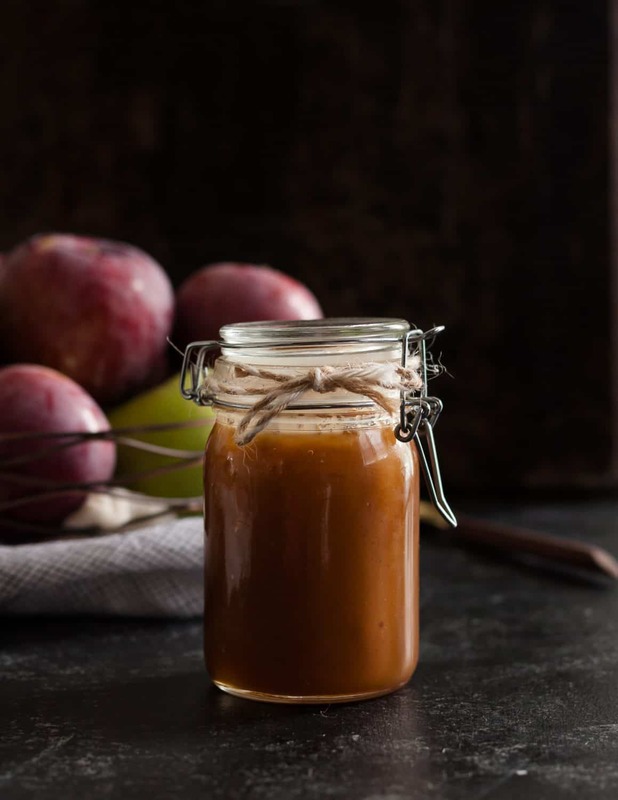 Once the sugar has reached soft ball stage, immediately remove from the heat, increase your mixer speed to high, and carefully drizzle in the sugar syrup, avoiding the sides of your bowl as much as possible. Continue whisking until you've reached a soft peak. Dump in the almond meal mixture and fold it into the egg whites until the mixture is homogeneous and looks like slow moving lava. Be careful not to over mix. Place the mixture into a piping bag fitted with a round tip and pipe onto parchment paper or silicone mat lined baking sheets. Set aside. Heat your oven to 300 F.
Bake the sheets one at a time for 15-17 minutes until the shells easily lift off the parchment or baking mat but aren't colored around the edges. Remove from the oven, allow to set on the pan 5 minutes before transferring to a wire rack to cool completely. 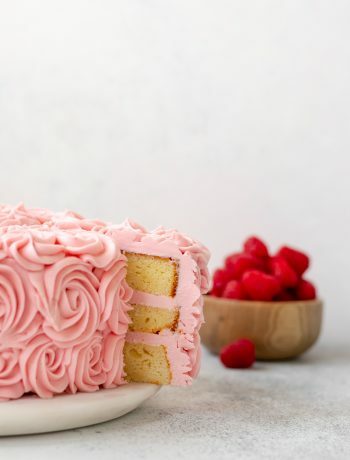 To make the marshmallow frosting, combine the egg white and sugar in a clean stand mixer bowl and place over a small pot of simmering water. Make sure the bottom of the bowl doesn't touch the water. Stir constantly until the sugar has dissolved and then transfer to your mixer and beat on high with the whisk attachment about 5 minutes until white and fluffy. Stir in the vanilla and use immediately. When the shells are cooled, pair them together. 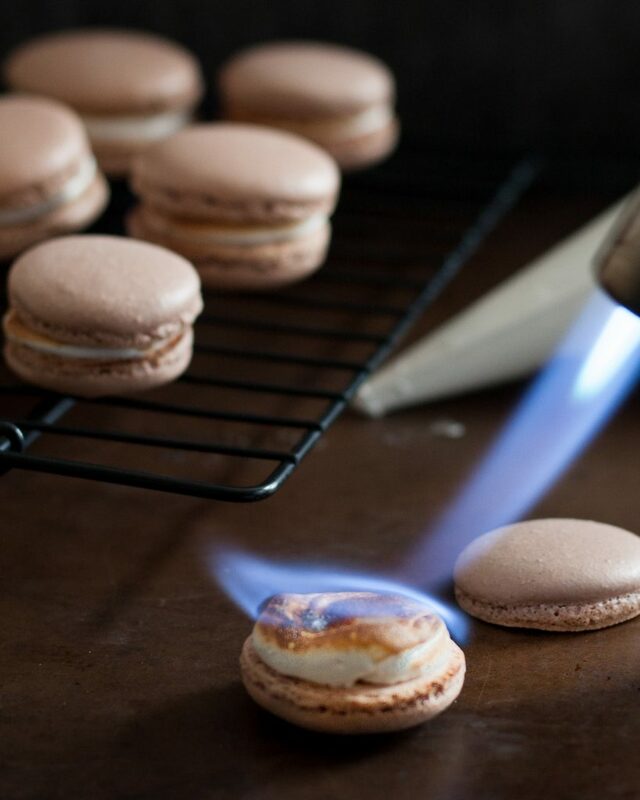 Pipe a bit of marshmallow filling in a ring on one side of the macaron, toast with your kitchen torch, then fill the center with ganache. Top with the second macaron. 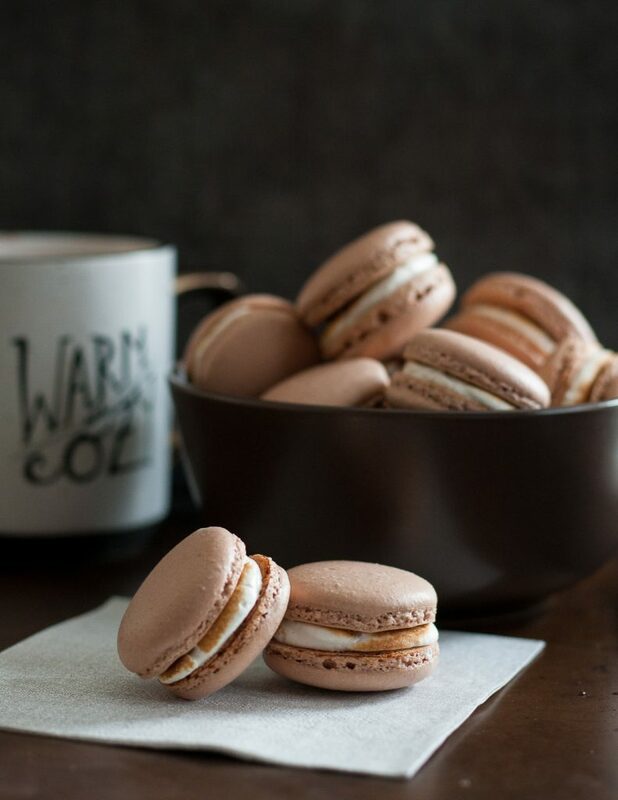 Allow the macarons to rest in the refrigerator in an airtight container for 24 hours before serving (ideally). Remove from the refrigerator a few minutes before eating to allow the filling to soften. 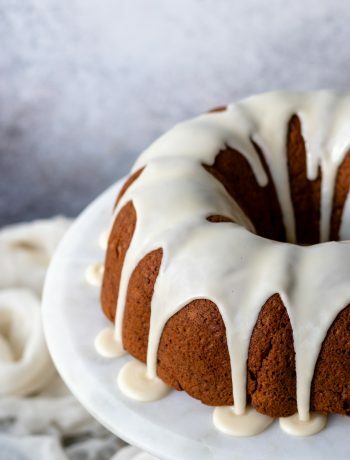 If you don't want to make the marshmallow frosting, you may substitute marshmallow fluff with similar results. To be clear, you do nothing with the 55g of unbeaten egg whites on top of the almond meal mix? You just fold it in to the whipped egg whites with the meal? Exactly. You just fold it in to the whipped egg whites with the meal. 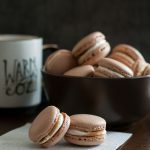 How long do macarons normal last after they are made. I want to give them as Christmas gifts but don’t want to have them go stale. How early should I make them before Christmas? Wrap them in an airtight container and freeze them! They can stay frozen up to 2 months. 🙂 You may want to skip the marshmallow filling on these though, as that doesn’t freeze well in my experience. Can I use the standard French method? Or would it screw up the macarons entirely?